We’ve all seen those jumbled letters at the end of a company’s name: (LLC, Inc., C-Corps, S-Corps, B-Corps, 501(c)(3), LKJASDFH)… okay, maybe not that last one, but what in the world do they mean?! And more importantly, which one should you choose? The legal structure a company chooses on formation will impact many things, including the way a company and its security holders are taxed (both before and after its sale or liquidation), as well as management and ownership structures. Remember, we’re not lawyers, so chat one of them up for questions and advice before you file! With help from Geoff Ossias, Partner at Perkins Coie, LLP, we broke the process down into three big factors to consider: taxation, management, and ownership. Taxation: LLCs are pass-through entities by default, which means that the profit (and loss) flows directly from the business to the owner(s), and is then taxed individually at the owner level. A drawback of LLCs is that all owners are treated as partners in the business unless an election is made to treat the LLC as a corporation for tax purposes. This means an owner who is also an employee receives distributions treated for tax purposes as guaranteed payments (as opposed to being paid a W-2 wage) and he/she must make quarterly tax payments to the IRS with respect to such guaranteed payments. They lose certain deductions as well. A benefit of LLCs is that on a sale of the company, no matter whether structured as a sale of its equity or its assets, there is only a single level of tax. LLCs (and other non-corporate entities having limited liability) are considered “eligible entities” under tax law. They may choose whether they are treated as pass-through entities (such as partnerships, sole proprietorships, or S-Corporations) or not (like C-Corporations). Under new law, a tax deduction of up to 20 percent of income from partnerships, sole proprietorships, and other pass-through businesses may be allowed. But the size of the deduction varies, depending on the nature of the business activity and the total income of its owner. It may also depend on how much the business pays its employees and how much property it owns. Management: LLCs are typically managed directly by the owners (referred to as members) or one or more managers (who can also be organized as a board, like a corporation). LLCs provide for a lot of flexibility in how members and managers govern the affairs of the company — generally these types of decisions can be determined as matters of contract as opposed to being dictated by a state’s code. Ownership: LLCs can have an unlimited number of owners (though at certain levels registration with the SEC may be required). By filing as an LLC, you are separating your personal finances from the business, which will generally provide you with protection against personal liability for business debts. Be sure to confer with your counsel about the ways you can lose this shield as it is not absolute, especially if you are a manager or an officer of the company. Taxation: C-Corporations are not pass-through entities and owners are generally subject to “double-taxation”. Business income is taxed independently at the corporate level (at a current maximum rate of 21%) and at the shareholder level (once distributed by the corporation) at the prevailing rate for individuals. A benefit of C-Corps is that stockholders who are employed by the Company can be paid a W-2 wage. A drawback is that, on a sale of the company, if structured as an asset sale, there may be two levels of tax — one corporate on the sale of assets and one on the distribution of cash to shareholders. However, this issue generally goes away if the sale is structured as a stock sale. Management: C-Corporations are often well-structured and have large governing capacity. Management is held accountable by the Board of Directors, and must adhere to corporate bylaws like any other employee. 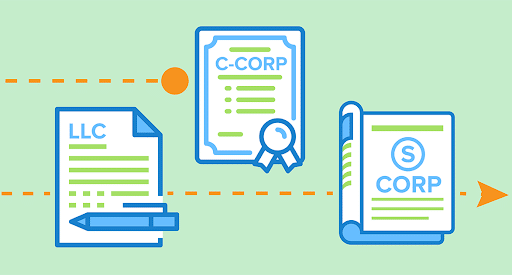 Ownership: C-Corps can have an unlimited number of stockholders (though at certain levels registration with the SEC may be required). Owners often do not take part in the day-to-day affairs of the company and the company is often not affected by other shareholders’ activities. By filing as an corporation, you are separating your personal finances from the business, which will generally provide you with protection against personal liability for business debts. Be sure to confer with your counsel about the ways you can lose this shield as it is not absolute, especially if you are on the board or an officer of the company. Taxation: S-Corporations initially incorporate as C-Corps, but an election can be made (if done relatively soon after formation) to be taxed as pass-through entities (i.e., income is not taxed at the corporate level but instead only at the shareholder level). This can be right for some entities that want the advantage of a single level of tax while being able to pay owners as W-2 wage-earning employees. A drawback is that, on sale of the company, S-Corps can add a high degree of tax complexity and they are also limited in the ways described below. Management: The management of S-Corps is the same as C-Corps. Ownership: S-Corps are limited to 100 shareholders, who must be U.S. residents. Like C-Corps, the company is often not affected if one shareholder pulls in or out of the company. S-Corps may only have one class of stock (differing voting rights among stock does not, however, create a second class of stock for these purposes). But distributions must generally be pro rata (in accordance with ownership percentage) to all shareholders. Shareholders retain the same protections that they do in the traditional corporate model. Taxation: Benefit Corporation is a new way to incorporate as a company to protect the social mission of the company, while still filing as a for-profit company. The company still can elect whether it will be taxed as a C-Corporation or an S-Corporation (assuming it meets the requirements for the latter). Federal tax law does not recognize Benefit Corps for tax purposes, but certain states may make distinctions. Management: Benefit Corps have higher accountability and transparency standards. The Benefit Corp status provides additional legal protections so management can balance financial and non-financial interests when making decisions. 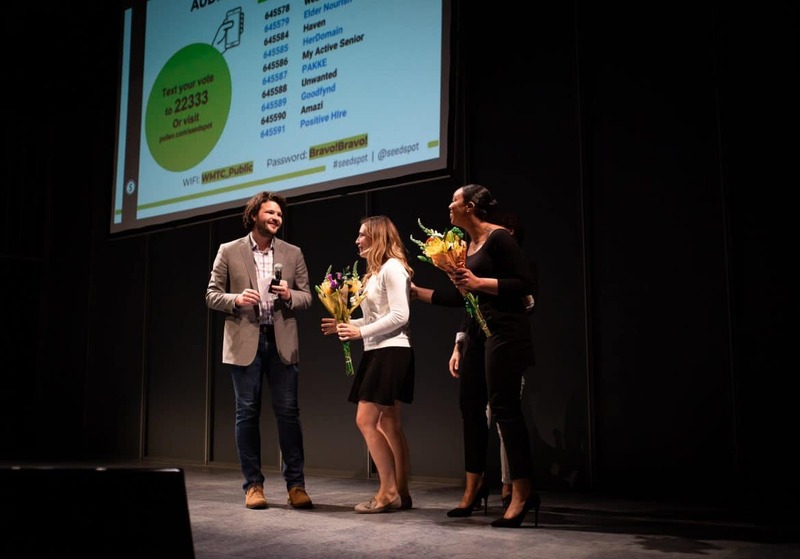 Benefit Corps like Patagonia and BetterWorldBooks are also required to make annual benefit reports publicly available, which assess social and environmental performance. Ownership: Shareholders retain the same protections that they do in the traditional corporate model and may have mission-related rights too. Shareholders have the legal power to force the company to enforce its mission, and can vote on mission insurance standards. Note: Benefit Corporations are the legal entity, while a B Corp is a certification by the nonprofit B Lab. Taxation: 501(c)(3)s are charitable corporations organized under state law as non-stock organizations approved to accept charitable donations which donees may be able to deduct on their taxes. 501(c)(3) corporations must be both organized and operated for charitable purposes. None of the company’s earnings can inure to private shareholders or individuals; they must be invested directly into the company (with significant restrictions on the company’s business activities). Nonprofits may have a better chance of obtaining grants as well. Management: The Board of Directors has the responsibility to actively participate in the company and decision-making, but most of the day-to-day is run by the staff. Ownership: 501(c)(3)s must have a Board of Directors in order to take in charitable donations or be classified as a nonprofit. The Board has the legal and financial power over the organization. There are no stockholders. Needless to say, choosing the right legal structure for your venture can be overwhelming. Remember, lawyers are your FRIENDS. Operating without a corporate form will generally land you as a partnership or sole proprietorship of some kind, where you will likely be liable for the debts of the company, among other things. This is generally not advisable. Use this information as a basis for your questions to a lawyer, not in place of a lawyer. 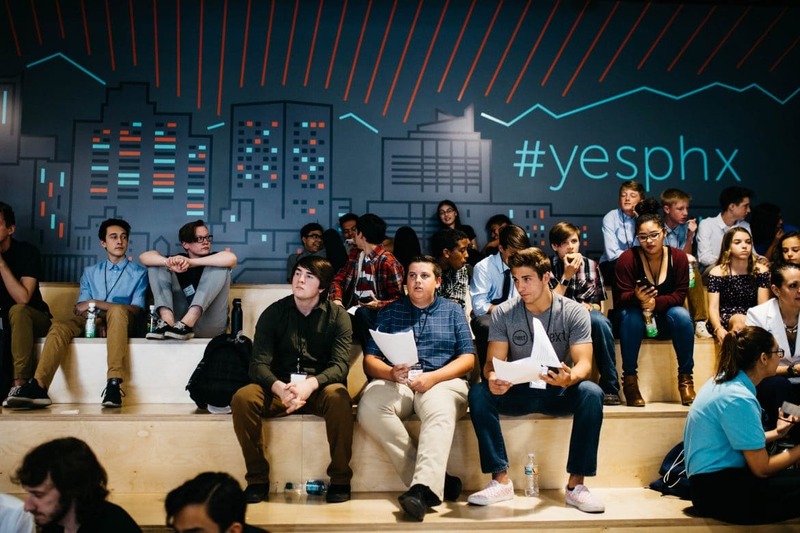 To get connected with great legal help, apply for an upcoming SEED SPOT 2-Day Launch Camp or 8-Week Impact Accelerator. 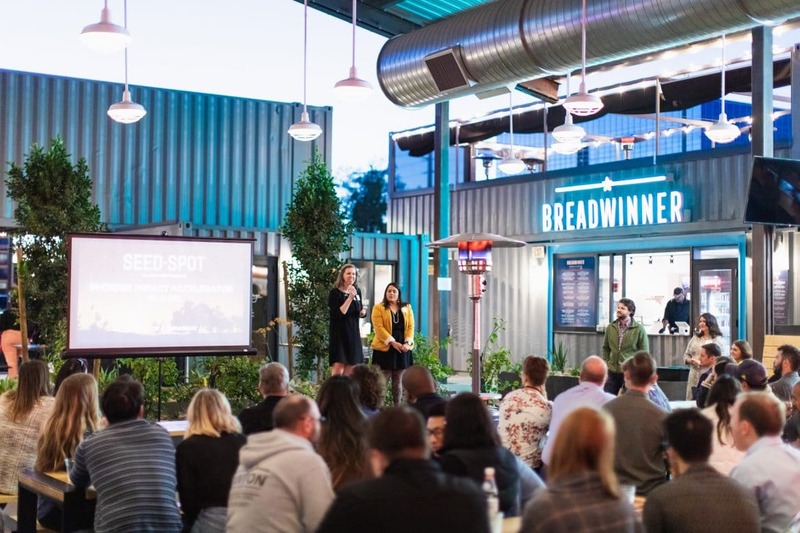 We have a strong network of firms who have represented many SEED SPOT alumni, and can connect you with pro-bono legal counsel specifically geared towards social enterprises.